At the AGM of the Bury Area Chess League it was agreed that due to dwindling support, we should investigate whether certain alternative formats for the Rapidplay event would be more popular amongst BACL club members. To that end, a survey has been designed to assess the likely impact of any change of format. You don’t need to supply any personal details, and it should only take a few minutes to complete. Even if you have no interest in Rapidplay chess or any of the proposed formats, that’s a response the league would like to receive and there are appropriate options for you to select. You can find them on the ECF grading site, and and on our club's membership page. Please check your game history, and inform the ECF (or me) of anything which is missing, extra or simply doesn't look right. They do make mistakes occasionally. A few seasons ago I was credited with the games of another Steve Lovell from a Rapidplay event. It resulted in me being given a rather higher grade than I should have been! Bury St Edmunds Chess Club welcomes new members. Indeed, we actively seek them. But we can be more effective in that with your assistance. Here are three ways you can help us. We've created some flyers to advertise the club. Take a look at them here. We've already put some of these in cafes, pubs and other meeting places in the town centre. But what about the places near you, or your place of work? There are flyers (and business cards) at the club. Why not take a few? If you're not playing a fixture on a given Thursday, that doesn't mean chess club isn't happening. Why not come along and say hello? If there are faces you don't recognise, please introduce yourself - if they aren't playing a graded game at the time! 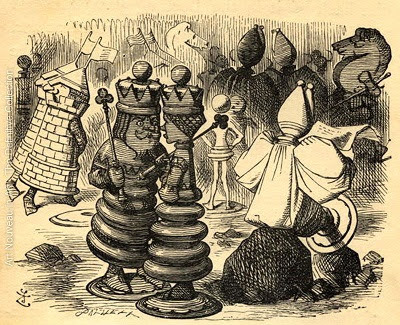 There are normally a bunch of us on hand for casual chess, and a friendly crowd makes a good impression to anyone visiting. 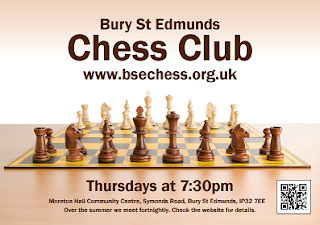 We're expecting several new faces at chess club this week (25 June 2015). The Bury library have invited our club to be part of an event celebrating the 150th anniversary of the publication of 'Alice in Wonderland'. 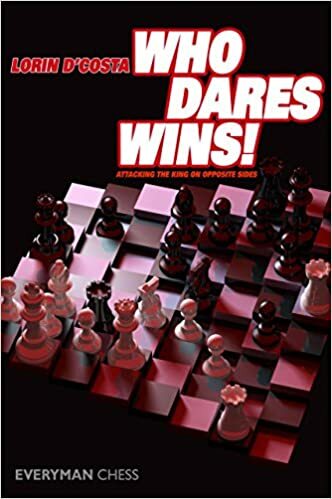 Chess features heavily in the second of these books, so they hope to have people playing and teaching others to play. This will be on Saturday 4th July from 10am until 3pm in the Abbey Gardens. You can just turn up on the day, or get in touch with me in advance. As well as being a fun, family-friendly day, it should also raise the profile of our club! Got any other ideas? Please share them below. We'll be starting the next club championship in September, which means you have until the end of August to enter. To do that, please either leave your name in the comments below or send an email to Colin Roborts, our Club Championship organiser. Colin's contact details are on the contact page. In a change from recent years, the competition will be organised in time-limited rounds, with a set number of weeks to play each fixture. There are a few updates to the Summer Programme, including confirmation of dates and venues for the league AGMs, and the addition of an extra week to our calendar of events. The extra week is next week, Thursday 4th June, and accommodates the final of the Norfolk and Suffolk Cup, where we once again take on the best of Norfolk: the Broadland club. Why not come along to watch and (quietly) encourage our club's strongest players? There'll also be casual chess available so you can dip in and out of the main event. Recent events saw Zac Vane pick up the grading prize in the BACL Rapidplay event, scoring four wins from the six rounds. Well done Zac! Unfortunately the event has not been well supported in the last few years and it's future will be reviewed at the upcoming BACL AGM. If you have any suggestions please bring them to our own AGM on 11 June. Indeed, if you have any thoughts about the running of our club or of either of the chess leagues please come to the club AGM ready to share them. Last night we played our Chess960 (Fischer Random) event. An enjoyable evening completely free of standard chess opening theory! After the completion of the available four rounds Bob Jones, Zac Vane and Steve Lovell were all tied on three points. Bob was declared the winner on tie-break. Update: Enough people have now confirmed their attendance. The event will go ahead as planned. If you haven't told me you're coming, I'd still like to know. That will help us know how many chairs and tables we'll need and assist Lorin's planning. As part of our Summer Programme we're planning to host an evening with IM Lorin D'Costa on Thursday 20th August 2015. 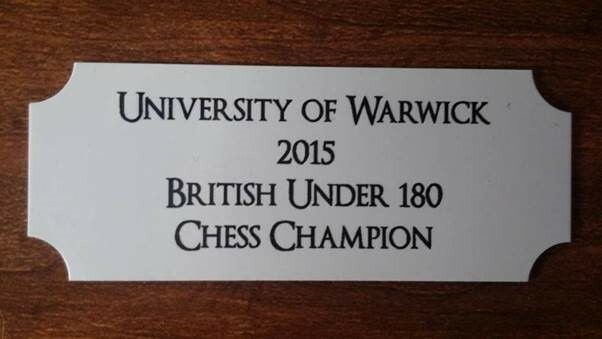 The idea is that we'll have around an hour of coaching, followed by a simul, with a book prize for the best simul. Lorin D’Costa is an International Chess Master and a full time chess teacher in London. He is an ECF accredited coach, teaching individuals (many of whom have gone on to win national titles and represent England) as well as at the world and European youth championships with the best young English chess talent. Lorin is currently FIDE rated 2430 (and ECF graded 228), putting him comfortably in the top 50 amongst English players. 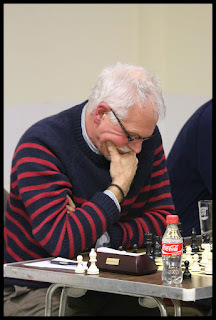 He is currently coaching at a number of London schools, and is the author of two chess books and numerous instructional videos. Since we need to cover Lorin's costs, this event can only go ahead if we have sufficient numbers attending. There will be a minimum fee of £5 per head. If you would definitely attend, please leave your name in the comments box below. If you'd be willing to pay a little extra to ensure this event goes ahead, please say that too!